You know by now that our personal injury attorneys and lawyers in Los Angeles can help your case in a variety of ways. Through the course of our work, we have a lot of free consultations with prospective clients. It’s one of the best parts of our job getting to sit down with regular folks. We love talking their situation over with them and figuring out how we can help them to make their case even better. During the course of this, we’re also always struck by some things about personal injury cases that the regular person just isn’t aware of. We’d like to make our prospective clients aware of a few of them. While there’s no real timeline on exactly how quickly you should hire personal injury attorneys and lawyers in Los Angeles after you’ve been injured, the sooner you do it is typically for the best. The earlier you can get our LA Injury Group experts involved, the better. That way, we can get into the case faster, thus hoping to get you a positive outcome even earlier. On top of that, the process continues whether or not you have an attorney, so it’s certainly better to have one on your side as soon as you can. One thing to keep in mind: the other side will absolutely have an attorney. The insurance company will have an attorney, if not several attorneys, each among the best in their fields. Even if you aren’t going against an insurance company in your personal injury case, it’s important to remember that the other side will probably have their attorneys anyway. You don’t want to be the one person involved in the case that doesn’t have an attorney on their side. The LA Injury Group can help with every step of dealing with the insurance company. Insurance companies are notoriously hard to deal with. Ironically, they can actually be even harder to deal with when they’re seemingly trying to be nice to you. For example, an insurance company will probably send one of their nicest, most kind people to talk to you, possibly to offer you some kind of deal. As ever, it can’t be repeated enough: do not sign anything from the insurance company without us looking at it first. There’s never a good reason to sign anything from the insurance company before your personal injury attorneys and lawyers in Los Angeles have a chance to see it. Universal truth: the insurance company does not make money by paying out to other people. The insurance company makes money by not having to pay. The insurance company will go to great lengths to not have to pay, as paying for lawyers, investigators and the like is cheaper than having to pay out. The insurance company exists to make money for the insurance company. In fact, they only make money when they don’t get you anyway. When you think about it, this is the exact opposite of the LA Injury Group method. We only get money when you get money. When you see it laid out so clearly, it’s obvious who has your best interests at heart and who does not. In fact, as soon as the insurance company gets in contact with you, that may be time to contact the LA Injury Group about a free consultation. 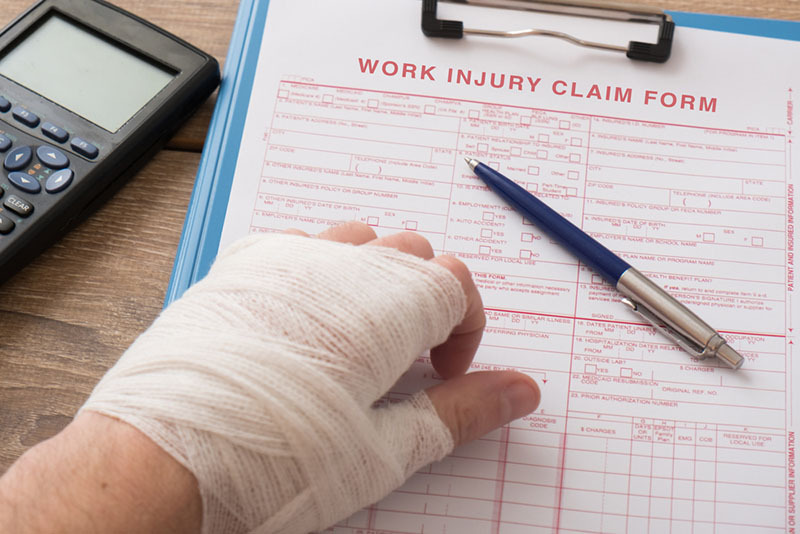 As soon as you’re released from the emergency room, accident investigation team or the insurance company contacts you, those are the best times to get started with your personal injury attorney. We’re always glad to sit down with you and figure out the best way forward with your case. The insurance company always feels like they can throw their weight around in these kinds of cases. They seem like they hold all the cards: they have the most resources and experience. That’s why you need a law firm like the LA Injury Group. We have the resources to match the insurance company. When they bring in their experts to do an investigation, you can do the same. We can match them step for step and go toe to toe with them on your behalf. One thing that’s often overlooked about our lawyers is that we can put you in touch with a great medical team. Over the years, we’ve amassed a great team of doctors and other medical professionals that we work with often and trust deeply. We can put you in touch with them. They can help you to heal, and they can be paid out of the compensation you’ll get for the case. On top of that, they’ll also serve as top shelf medical experts should you need witnesses if your personal injury case goes to trial. That being said, not many cases go to trial. Often, the work of our personal injury attorneys and lawyers is done at the negotiation table. There, we work to get you the best settlement possible. Too often, personal injury lawyers will just take the first settlement offered by the insurance company. They’ll tell the client “it’s the best we could do,” when in actuality, they didn’t really try. They just took the first deal offered so as to clear the case. Here at the LA Injury Group, we would never do that. In fact, we take great pride in fighting for our clients as hard as possible at the table and elsewhere. We won’t take the first deal or really, any deal from the insurance company until we’re assured it’s the best you can get. With that said, we always keep you in the loop in terms of communication. That way, you always know what’s going on with your case. The more information you have about your case, the more informed and ultimately better decisions you can make about it. However, should the case actually go to trial, our personal injury attorneys and lawyers in Los Angeles love the opportunity. It’s exciting to represent clients in a courtroom – we take great, eat pride in standing up for our clients in a courtroom and getting them what they deserve. With years of trial experience, we know the arguments that work in a courtroom, in the negotiation table, and everywhere else. One of the most important early steps of a personal injury case is in the initial investigation. Here, too, we can help our clients. Over the years, we’ve amassed an incredible team of investigators. They know exactly what to look for to make your personal injury case all that much more compelling. Using tried and true techniques, they can find that seemingly hidden yet vital evidence that can decimate the other side’s argument, whether in a courtroom or doing negotiations. That’s just one more resource we can offer our clients. After all, the insurance company will certainly have their investigators. There’s nothing easy about reaching out to an attorney for the first time. When you’ve been hurt and it’s someone else’s fault, you’re liable to be wary of reaching out and having to go get an attorney. We know that, and want to make the process as easy as possible for you. To that end, we offer free consultations that are really and truly free. These consultations will let us find exactly what is the right way to go about your case. From there, the LA Injury Group personal injury attorneys and lawyers in Los Angeles are by your side every step of the way. From the moment the consultation ends to the great moment where you get your compensation, we can help you when you call us at (818)210-4558 or head to our website.